As many of you know, I am currently in Colombia helping the National Audubon Society with an ongoing avitourism project. Most generally, the idea is to develop a series of birding routes, or trails, around the country. Sample itineraries for each trail will be publicly available, and the hope is that individuals or tour companies will be able to use those templates verbatim or modify them to suite their specific needs. The goals are to demystify Colombian birding and develop avitourism as a viable and sustainable revenue stream as the country continues to stabilize in the wake of the Colombian Peace Agreement. 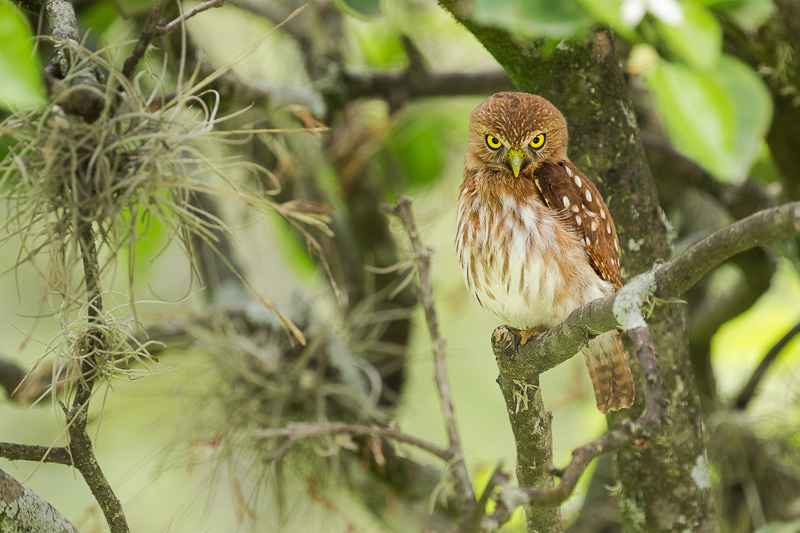 Long term, we hope that those individuals with an economic stake in the preservation of Colombia's habitat and associated birds will lead conservation efforts within the country. I wrote a bit more about the project in May, so please see that post (#137) if this rather quick overview doesn't satisfy you! 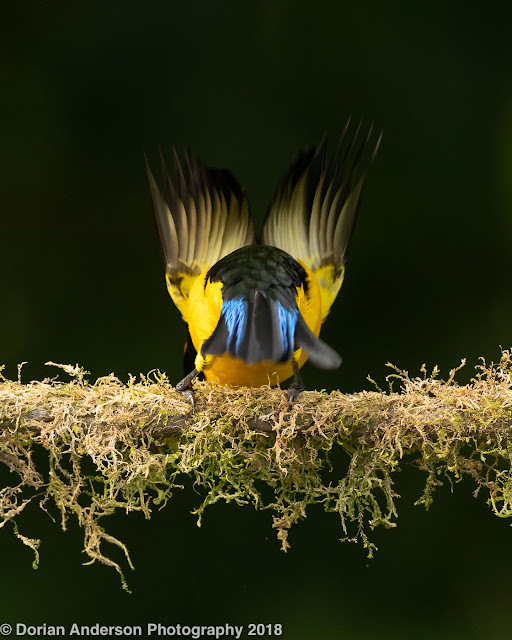 I was peripherally involved in the creation of the the first two Colombian birding trails, the Northern Colombia Birding Trail and the Central Andean Birding Trail, mostly as guinea pig to test those itineraries as designed by upstream others. 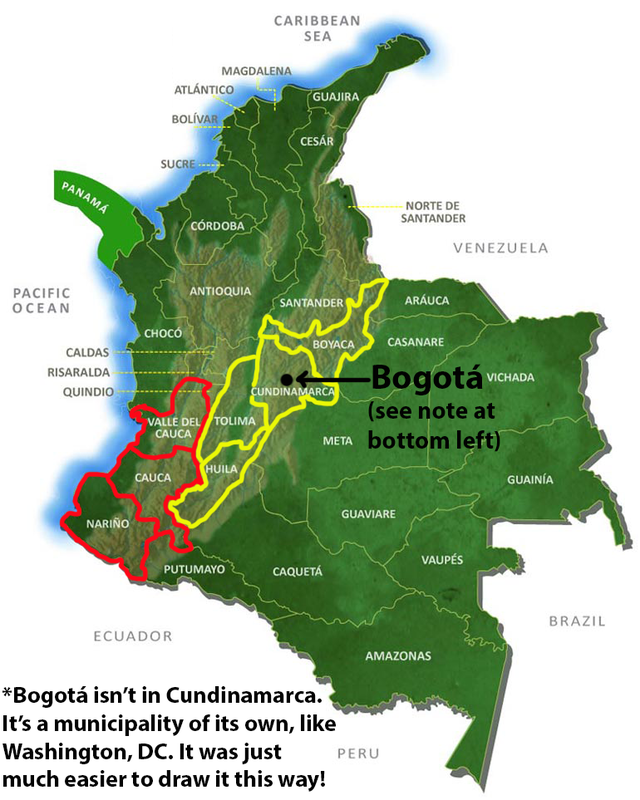 This time I am playing a much larger and important role as I will help design two entirely new itineraries, The Southwestern Andean Birding Trail running through Valle del Cauca, Cauca, and Nariño and the Eastern Andean Birding Trail running through Boyacá, Cundinamarca, Tolima, and Huila. I am now visiting a whole bunch of preselected birding sites - some established, others new - and will afterwards decide not only which of those sites should feature in the itinerary but also suggest how those sites should be connected to create the functional trail. With so many moving pieces and possibilities, the scientist/engineer in me is loving the challenge! Eastern Trail will run through yellow departments. As awesome as it is to spend 42 days touring around these particular departments (and an additional 7 days of personal time in Caldas), it isn't all fun and games. I am being asked to make some very important decisions, decisions I understand will greatly affect people's lives. To understand this better, let's look at one of the decisions I am facing. Last week, I visited two very different lodgings in approximately the same area. The first property is an established guesthouse close to a small town. It is relatively posh, there are hummingbird feeders all over the perfectly manicured garden, and I know any birder would enjoy his or her visit. The woman who owns the home is wonderful, and her passion for birds is evident in every detail, the custom painted hummingbird plates included. It is about an hour drive from that house to a specific birding area. The other property is a very basic family finca exactly adjacent to that same birding area. There is no hot water, meals are simple, and the owners like birds but do not fully understand the birding and hospitality industry. They tried putting up feeders, weren't successful in attracting birds, and eventually gave up (in speaking with them, I immediately realized the mistakes they made and advised them how to go about it again). They desperately want to become a birding destination, but they do not have capital to invest in the property. They too are wonderful people, and I was so thankful that they shared their home with me for a night. As both properties offer access to the same birding area, though the finca is much closer, I really need to chose one to be part of the official Audubon itinerary. The guest house might seem the easy pick, but that would really crush the hopes of the finca folks as they know being featured in the itinerary could economically change their lives. Do I ask birders (i.e. you) to forgo the comforts and conveniences of a much nicer place to economically help a family that could really use it? Or do I reward the person who has already invested thousands of hours and a lot of capital into her property? If I recommend the guesthouse, every birder will like it. But If I recommend the finca, I know at least some fraction of birders will be disappointed with the product - at least as it stands now. The finca therefore needs to come with a qualification; the guesthouse does not. Who among us is willing to stay at the finca now to help them earn the capital for the improvements they will need to make in the future? If I recommend a rustic place one night, do I need to recommend a nicer one the next? And does that second recommendation come at the expense of another family trying to put a bit more bread on the table? This is the human side of bird tourism, a side we tend to ignore as we move from nice lodge to nice lodge. My general feeling is that the more comforts we as travelers are willing to sacrifice, the more we will learn as a result. But that's optimistic and coming from me, a guy who was willing to forgo the ease of vehicular travel for a year to bird the United States by bike. In trying to sort through all of the lodging and birding possibilities, I need be be in the mindset of the average birder; I cannot rely on my own standards as I know I can rough it in ways that most other birders - particularly those older and wealthier - would probably want to avoid. Interestingly, price isn't much of a consideration as lodging is so much cheaper here than in the US. Anyone who has bough the plane ticket to get here can basically afford to stay anywhere. I've found basic lodging (with 3 meals) for as little as $10-15 US per night. I could make this work for a night! How about you? So these are the sort of things - beyond purely birding considerations - that I will have to think about as I plan out these itineraries. I'd love to hear some thoughts on this if any of you have the time. I'd be particularly interested to know what comforts you're willing to sacrifice. Can you deal without a hot shower for a night? What about several consecutive? Do you need a private room? A private bathroom? Are you OK sleeping in a bunkroom with 4-8 other people? Do you want to choose your own food or are you OK eating whatever is served to a group? How many lunches and dinners in a row could you eat chicken, rice, and plantains, the default meal in rural areas (for example, I had a stretch of 3 days where that was what was served for lunch and dinner). Is sacrificing comfort something you're willing to do if you know it's really going to help someone else? Fear no judgement from me, this is purely research. As always, I'd prefer comments on the blog, but I'll take emails if people don't feeling like posting their thoughts and preferences publicly. That's it for now, cheers! 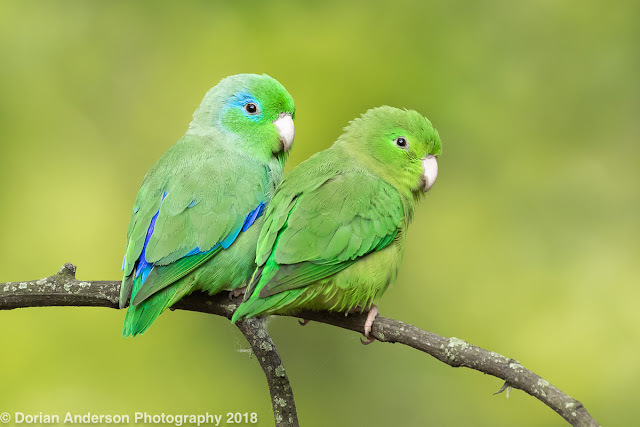 Post #139 - Birding Honduras, part 2: Let's go birding! OK, let's continue with Honduras! 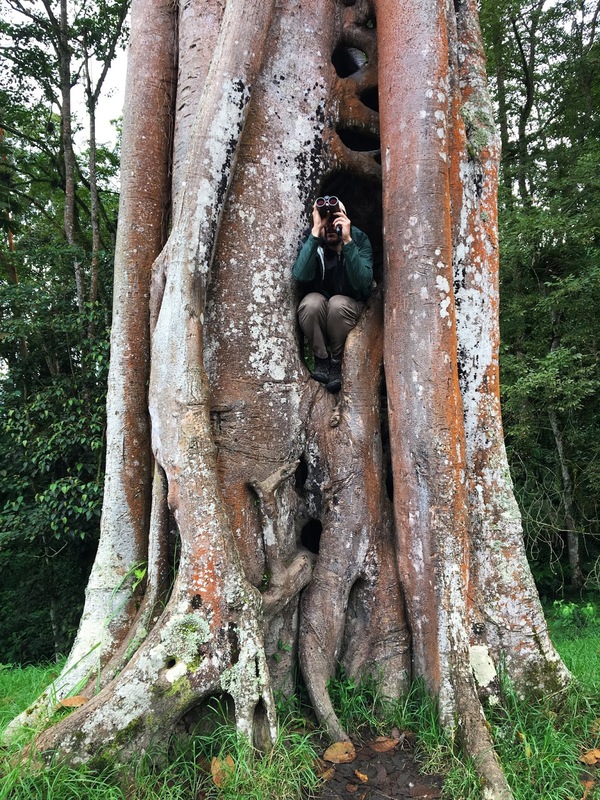 Last time I gave you a overview of the country and some general travel tips, and in this entry I am going to dive right into the birding sites and the species one can expect to find at each. However, I am going to do something that I haven't done before. Beyond my first-hand accounts of those sites that I visited on my recent trip, I am going to point you towards some other areas that should be on your radar. 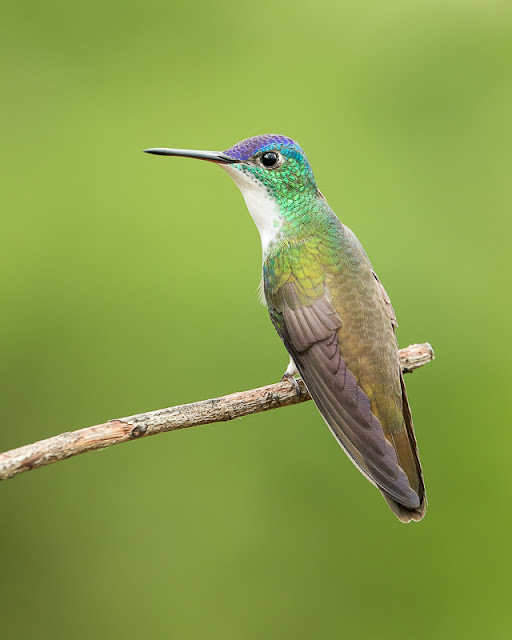 I am doing this because my recent trip was mostly focused on exploring new birding areas, and I think that several the tried-and-true spots warrant inclusion so as to provide the best picture of the Honduran birding landscape. Lake Yojoa is an up-and-coming outdoor destination, sort of like a little brother to Arenal in Costa Rica or Mindo in Ecuador. As I just wrote a comprehensive article on Lake Yojoa for the Nature Travel Network, I'm going to directly link that article instead of rehashing Yojoa a second time. It's an easy read and includes all sorts of helpful information. I didn't include links to eBird hotspots in that more formal article, so here are a few you should find helpful. Located in the southwestern part of the country, Celaque is a great destination for those that like to mix hiking with birding. The rugged and undeveloped track has miles of trails, and the most adventurous can make an attempt at Cerro Las Minas (9416'), Honduras's highest peak. Elevations in the park range from 3,200 to 9,400 feet, the lower reaches being mostly pine forest while the upper throes are cloud forest. Nearly 230 species have been eBirded from the main Celaque hotspot (linked above), but many more have been observed when one sums up the more specific eBird hotspots within the park. Highlights of my visit were Orange-billed Nightingale-Thrush (heard), Spotted Nightingale-Thrush (heard), Ruddy-capped Nightingale-Thrush (heard), Black-banded Woodcreeper, Unicolored Jay, Violet Saberwing, Green-throated Mountain-Gem, Collared and Mountain Trogons, and Golden-browed Warbler. 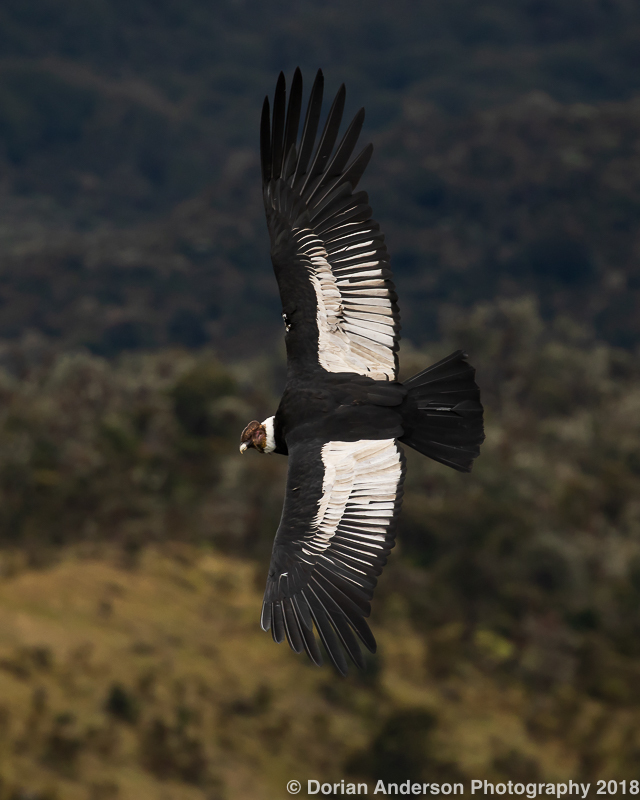 We didn't reach as high as the cloud forest, but there is an entirely different complement of birds at those elevations. In full disclosure, bird numbers at Celaque were low, and we had to work really hard to grind-out mostly single representatives of the listed birds. It's also worth noting that the walking was very challenging, the main trail gaining over 2000 vertical feet in just a few miles. The half mile beyond the nice observation tower will be manageable for virtually everyone birders, but once the trail turns skyward only those in good physical condition should continue. The paved 2 kilometers from the Gracias entrance to the Visitor's Center are good birding, so those deterred by the prospect of mountain climbing should concentrate on birding that entrance road. Reaching all the way to the cloud forest is a hell of hike, once that will take effectively all day and be managed only by those in very good physical shape. If you head to Celaque, I suggest the Hotel Casa Celaque. It's a beautiful property, and it's only 5-10 minutes from the entrance to the national park. The adjacent town of Gracias is quite fun, so keep that in mind for non-birding activities. This place is nothing more than a private residence in Yamaranguila (outside Esperanca) with a whole bunch of hummingbird feeders, but don't let that fool you. It is fantastic! It was nonstop activity for the hour that we spent watching the array, and I could have spent a whole day trying to get that one perfect shot. White-eared and Azure-crowned hummingbirds dominated, but a few Rivoli's came in as did a single Berylline. Don Julio runs the place and is a very friendly guy. He charges $3/person, but I wouldn't feel comfortable leaving less than $5 (as I do at feeder arrays in AZ, for example). The reserve has a Facebook page, so be sure to give that a look if you are interested. 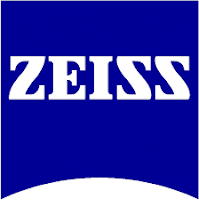 All the relevant contact information can be found there. These are the sorts of views you can expect! Zamorano University is a private, 1200-student institution about 45 minutes south of Tegucigalpa. Specializing in agricultural and outdoor pursuits, the expansive campus is very beautiful and loaded with birds. Our group spent a full day birding the campus with resident professor and field guide author Oliver Komar and found upwards of 70 species. Highlights included Crested Bobwhite, Ruddy Crake (3! ), Northern Jacana, Striped Cuckoo, Ferruginous Pygmy-Owl, Turquoise-browed Motmot, Barred Antshrike, Nutting's Flycatcher, Black-headed Saltator, Yellow-billed Cacique, and Streak-backed Oriole. The students have even created a special trail - The EcoSendero - to facilitate birding on campus. There is also a biological research station at Uyuca (eBird Hotspot) which is worth a visit. 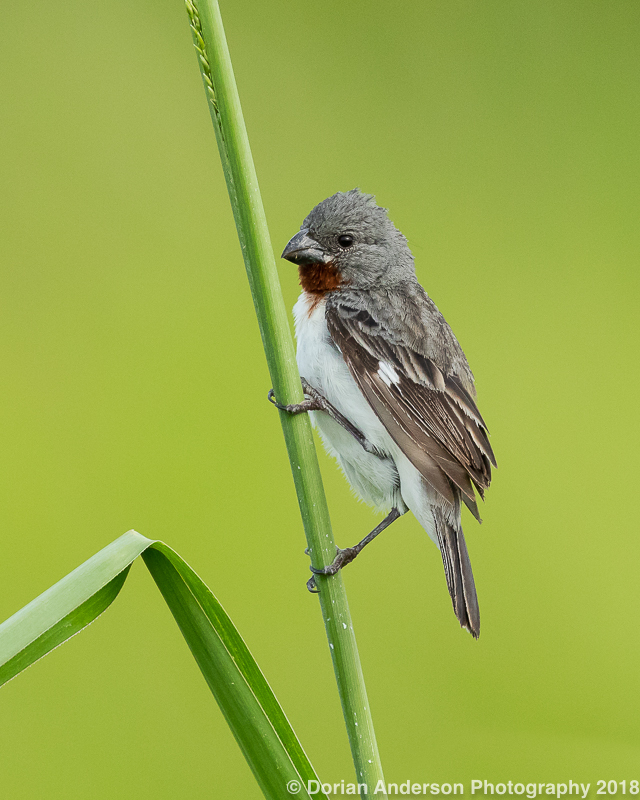 Located at a higher elevation than campus, we found a completely different complement of birds including Mountain Elaenia, Slate-colored Solitaire, Crescent-chested Warbler, Mountain Thrush, and Black-vented Oriole. Most notable were Green-breasted Mountain-gem, Rufous-browed Wren, and Rufous-Collared Robin, three particularly prized "highland endemics" as discussed in my previous Honduras post. As Uyuca is a biological research station, the institution requires that visitors eBird what species that observe at the reserve. Please honor this request as they are willing to extend access as long as visitors comply (more on access below). The one big caveat with Zamorano (And Uyuca) is that the campus is restricted access, so you'll have to be accompanied by a local guide to bird Zamorano. I spent some time with guide Maryury ('Marjorie') Gomez and would highly suggest contacting her if you're in interested in visiting Zamorano (marmice18@gmail.com). She's got a good grip on the local birds, knows her way around, and is very friendly. Her English is coming along, but please do remember it's her second language! As for lodging, the Central Kellogg Hotel is great. It's administered by the university and is directly across the street from campus. In addition to those four sites that I visited on my recent trip, I want to say just a few things about the following tried-and-true Honduran birding sites. Pico Bonito is a full-service and high-end ecolodge on Honduras's Caribbean slope. I have never been but have heard only great things from many people who have. It's very popular with both tour groups and photographers, so there's a bit of something for everyone. The property is supposed to be stunning, and I think it is the sort of place non-birders would enjoy just relaxing. Rio Santiago is another full-service ecolodge, albeit at a much lower price point than Pico Bonito. Rio Santiago is also on the Caribbean slope and not that far from Pico Bonito. 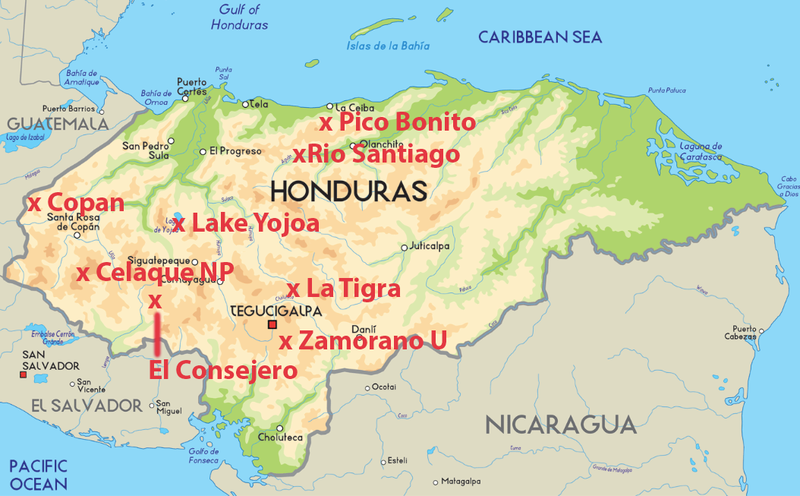 Both are a few hours drive east from San Pedro Sula and so could be visited together for variety. Again, I have not been to Rio, but several people said the resort has feeders and is a good place for photography. 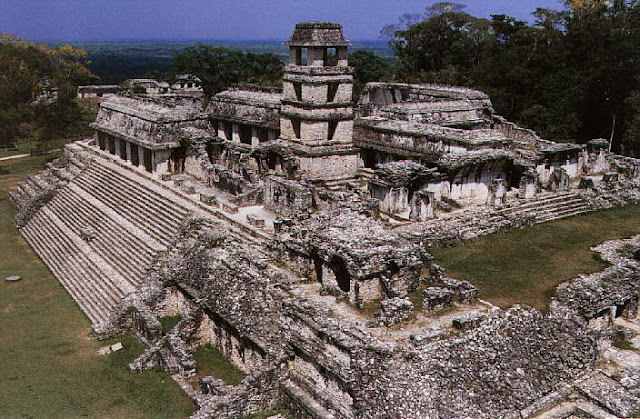 If you're into history, archeology, and culture, then a trip to Copan might be perfect for you. 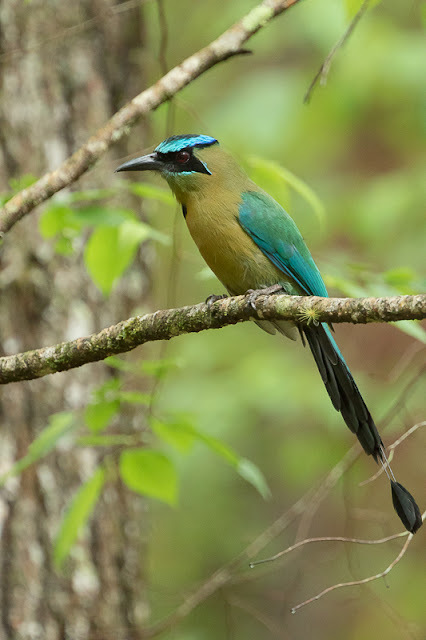 I have not birded Copan but have birded Tulum in Mexico and Tikal and Yaxha in Guatemala. If my experiences at those Mayan sites are indicative of what to expect at Copan, you'll have a blast. There are few experiences as cool as wandering through ancient Mayan ruins while looking at trogons and motmots. If you're thinking about visiting Copan, Yobani Peraza (guiamaya@yahoo.com) of Xukpi ('zhuk-pee', its a Mayan Word, appropriately!) Tours is your man! He knows the birds very well, has special access to restricted areas within the archeological site, and speaks English well. After spending a week with Yobani, I know I wanted to return to Honduras and visit Copán! Yobani is also available to guide anywhere in Honduras, so if you want to put together a longer, week-long private tour/itinerary he can make that happen too. This is another spot I haven't visited but know something about. Located less than an hour from Tegucigalpa, La Tigra is best know for hosting the incredible Resplendent Quetzal. It's a popular birding spot and could easily be coupled to Zamorano (and maybe Yojoa) since both are so close to Tegucigalpa.